We all know that when you submit a resume for a job, you’ll be one of many. Depending on the role, you could be one of the hundreds applying for the same position. With so many applicants, recruiters have limited time to scan through the pile of resumes and narrow down the list of potential interview candidates. Studies have found that the average recruiter spends about six seconds scanning your resume before deciding if they think a candidate is a good fit. Want a Chance to Get an Interview? You need to catch a recruiter or hiring manager’s attention right away. 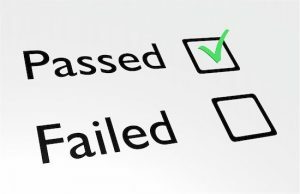 You need to pass the resume skim test. Recruiters should be able to quickly scan your resume and get an idea of who you are, your experience, and if you are qualified. 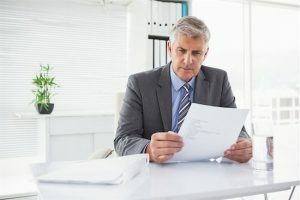 No matter how much experience or how much success you’ve had, if your resume cannot immediately communicate this to readers, you’ll miss out on job interview opportunities. Name: Include your name (bolded) at the very top of your resume. Be sure to include certifications and advanced degrees at the end of your name. For example, Bob Smith, CPA. Use headers: Use sub-headers throughout your resume to make your resume more scannable. Use headers for all the key information recruiters are looking for. Use bullet points: Bullet points make your resume more scannable and easy to read. Highlight the main points for each job title. Avoid bulky, long paragraphs of text. Make contact info prominent: Make your contact information very easy to find. Include your cellphone number and email. If you are not sure if your resume meets the skim test, have a colleague take a look. Ask them if they can quickly identify your job title, previous roles, education, and other important information quickly. If not, you need to revise your resume.